The Leadership Impact podcast and blog offers fresh conversations on how to leverage your platform to make a bold and meaningful impact within your organization. 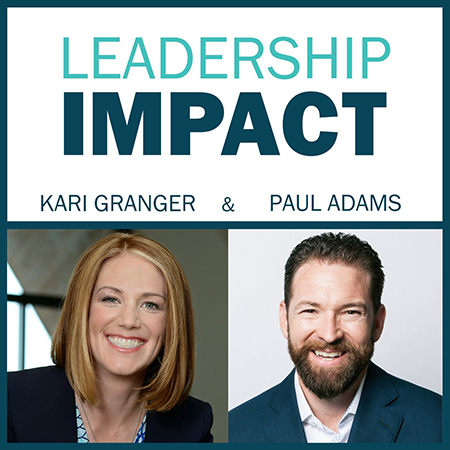 Join Kari Granger, CEO of The Granger Network, and Paul Adams, CEO of Sound Financial Group, as they address everyday leadership topics and support you to leverage your leadership impact to boldly and authentically make great things happen in your lifetime. In this bonus episode, Kari and Paul reminisce about their first impressions and how that set the stage for what has become a trusted partnership as co-hosts of Leadership Impact.